While support for ES6 is always increasing, we can't always assume that users will be using a browser that supports all its features. So, in order to utilize ES6 features now and make sure we won't run into cross-browser compatibility issues, we need to transpile our code. Let's look at two possible ways we can perform the task of transpiling our code. First, we will use npm scripts and Babel. For the second, we will look at using Gulp with Babel. Babel is the go-to transpiler for ES6. It was originally called 6to5, but was later renamed to Babel as it was apparent that the name would not work moving forward. With the release of Babel 6, the focus turned more towards making Babel pluggable. It created a system that allows you to create plugins to transform your code! The default action for Babel in version 6 is not to transform your ES6 to ES5 anymore, so you now have to include various presets. The presets in Babel allow you to either pick and choose the transformations that you want, or you can select the babel-preset-es2015 preset and work with all the features. In order to work with the three methods that we will look at, it is important to make sure you have Node.js installed. The easiest method would be to head over to the Node.js website and download the latest version for your operating system. If everything goes as planned, you should have node available to you in your terminal. To confirm that Node.js is installed on your system, open your terminal and type node -v into the prompt. If you get a response that looks something like what you see above, you are good to go! If you are not super comfortable with the command line, I suggest checking out commandlinepoweruser.com by Wes Bos. It's a great free video series to help you quickly get up and running with the common commands. This will walk you through a few questions: what is the name of your project, version, description, etc. When it asks you about the "entry point", you can leave it as `index.js` for now. Typically this would be the main file for your project. If you know ahead of time what that file will be named, add it now. Once you are done with these steps, a new `package.json` file will have been created. Now, it's time to install the babel package we need. After running this line you will see a few new changes in your project directory. First, you will notice that there is now a `node_modules` folder, and second, that there is a new entry inside your `package.json` file. There is one key part to the code above: the --save-dev flag. This flag will save the module, babel-cli, in your package.json file under devDependencies section. This section in the file is used for modules that will be used in development, meaning they are not needed in production. If we had run our install with --save instead, it would put the module under the dependencies section. There will be cases when you are developing your apps that you will want to use certain modules exclusively for development, and certain modules exclusively for production. Using --save and --save-dev you can put those modules in the right buckets. As mentioned earlier, Babel does not default to transpiling ES6 right off the bat. We have to include the babel-preset-es2015 module as well. This module ensures that we have the ability to transpile our code. In the root `project` folder I have a `src` folder and a `public` folder. The `src` folder is used to hold my pre-transpiled code. This would be the code that is written with the nice ES6 syntax, while the `public` folder will be the destination for our transpiled code. The `public` folder would also hold the CSS, HTML, and images that your app requires. The first method of transpiling we will look at is using NPM to run Babel. In the `package.json` file there is a section called scripts where we can define commands we would like to run. Using the Babel CLI we can set up a script to compile our code and output it where we would like. The scripts section takes a JSON object as a value. The keys in this object will be the name of our script and the value will be the command to run. "js" : "babel src/app.js --out-file public/app.js"
Adding the above to our package.json in the scripts section will take our code from src/app.js, run it through Babel, and output the file in public/app.js. The Babel command has many options to it that we will look at later, but the --out-file flag is used to determine the destination of the compiled source. Now, the moment of truth: let's look in the `public/app.js` file. Note that if you did not create one before, Babel will go ahead and create it for you. Huh... this looks exactly the same. That is because we have not utilized the es2015 preset yet! In order to tell Babel that we want to use presets that we have downloaded, we need to create a configuration file. This file is called `.babelrc`. If you have never worked with a dot-file before, you might think that it is a bit odd! Dot-files are meant to be hidden files and are typically used to store configuration information, or just to keep things hidden. By default you cannot see dot-files on your computer, however a quick Google search will show you how to turn them on for your finder. Since we are on the terminal, we can use the ls -a command to show any file or folder that starts with a `.`. Sublime Text (the editor I am using throughout this book) or Atom will show you these files if you open your project folder in the editor. In order to configure Babel to use our preset, we need to add this code to the `.babelrc` file. This is great, however let's make our script a little more robust. Right now, when we run the script, it will output the file and stop. If you want to keep working on the file we need to run this over and over again. We can configure the script to watch over the files and run when they change! "js": "babel ./src/app.js --watch --out-file ./public/app.js"
By adding the --watch flag, we are telling Babel to listen for any changes in the `src/app.js` file, and when changes are made we want to output a transpiled version of that code to `public/app.js`. There are plenty more things you can do with npm scripts and the Babel CLI, however let's see how we can use Gulp and Babel to transpile our code! Gulp is a popular task runner that helps to automate your workflow. There are a ton of different task runners out there, including Grunt, Broccoli, and Brunch. For this book, we will look at how to configure Gulp to automate working with Babel, and later on in the book, we will use this to work with modules as well. So lets get started! In order to get started with Gulp, we need to install it globally on our system. Gulp is another npm module, so we install it like such: npm install --global gulp-cli. When working with gulp we have to install it globally only once, and also locally in each new project. We can do this by running: npm install --save-dev gulp. To configure gulp we must first create a new file called `gulpfile.js`. This will be used to define our tasks. If you have never worked in Node before, you might not be familiar with the require function. This is a function that will pull in any modules from the node_modules folder, or your own modules. Since we ran npm install --save-dev gulp that placed it in our node_modules folder. In the `gulpfile.js` we can get access to gulp by requiring it. Gulp is all about tasks. We will start by defining some simple tasks in this file. The () => above is the syntax for an ES6 arrow function. Don't worry if you aren't familiar with this, we will discuss it later. The two tasks we have created will work together, and also separately if we would like. The first of the tasks is one we will call js (note that you can call a task anything you want with the exception of default). The js task will deal with taking our JS and running it through Babel. In order to run this task we can run gulp js in our terminal. Of course, we have to define the task first. The second task is called default. This is a special task: in here we can set up code that will kick off many other tasks, or in our case create a listener for when certain files change. To run this task we can simply type gulp in the terminal. Gulp knows that if it just sees gulp it will run the default task. Before we get started we have to install a module the will allow babel to work with Gulp. Oddly enough this module is called gulp-babel. Type npm install --save-dev gulp-babel into your terminal to start downloading the gulp-babel package. The first thing we do is to require gulp-babel, then in our js task we return gulp.src('./src/app.js'). We return this to let gulp know that this will be an asynchronous event. The .src method lets us set the path for our file, and in this case it is a single file. When we get to the modules portion of this book we will change this to be a bit more robust. Gulp works with streams, meaning that we can keep moving the data down the pipe, so using the .pipe method we take the source files and send them through babel. Just like earlier, we need to specify the presets we want to use. To do this, we can pass an object to the babel function to tell the babel plugin which preset we would like to use. Our source gets transformed into browser-ready code, and it gets passed along again, so we can pipe it into gulp.dest, which sets the final destination. Now that our task is complete, running gulp js in the terminal should produce this output! If you don't have any errors, then everything should be good. Gulp will have run, taken your `app.js` from the `src` folder, transformed it, and saved it to the `public` folder. You might have noticed that this only ran once. If we change some code, we have to run it again. Let's set up the ability for gulp to keep watching our files. Altering the default task we add an additional argument, an array, for the tasks that we want to fire when we first use the task. The gulp.watch method takes a few arguments: a file path that waits for file changes, and an array of the task(s) you want to run. Now we can just run gulp. Changing your `src/app.js` file will run the js task again! 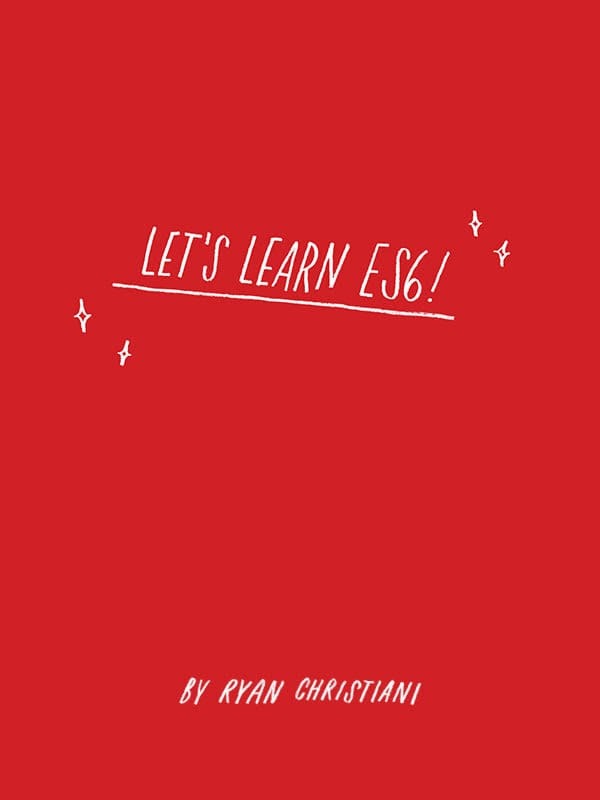 Hopefully this helps get you up and running so that you can start using ES6 today, even if the browsers you have to support do not support the features you want. // Feel free to add more entry points here. // These modules will be compiled into vendor.js. 'moment' // Just as an example. // Allow require('./foo') as well as require('./foo.js'). // See "vendor" above. This allows you to serve common module code as a single file. // Babel loader compiles ES2015 into ES5. // Use the default ES2015 preset to avoid specifying a bunch of plugins one by one. // These plugins aren't necessary. Totally up to you. // Require Moment.js from node_modules. Agop I couldn’t agree more. We need to stop educating people on task runners like gulp and grunt, and bring them into the bundler era. Thank you for the article, so far had I can not put into production, but your article got it.